In a large bowl, combine the ground beef, eggs, crushed crackers, onions, salt, and pepper. Mix these ingredients together using your hands. Knead until all ingredients are evenly mixed. Place the hamburger mixture into a loaf pan and pat down firmly and evenly. 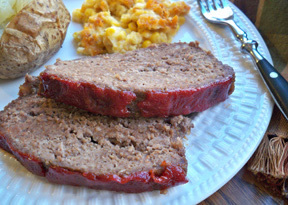 Using your finger, poke 1 inch deep holes into the top of the meat loaf, placing them about 1 inch apart. Pour the ketchup on top of the meat loaf and spread out evenly. Sprinkle the brown sugar out evenly over the ketchup. Place in the preheated oven and bake for approximately 75 minutes. Remove the meat loaf from the pan and place it on a platter. Be careful when removing the meat loaf from the baking pan. Use a fork to loosen it from the bottom of the pan if the meat loaf sticks. Use two forks to lift it from the pan. 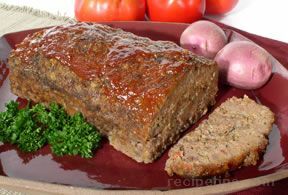 Slice the meat loaf to the desired thickness and serve. 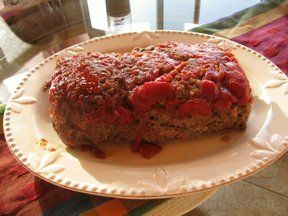 "This is a basic meat loaf recipe but still one of my favorites. I love the brown sugar and ketchup topping. 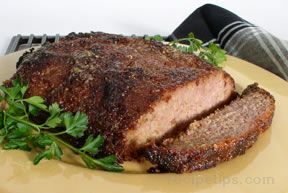 If you want a good meat loaf, you cannot go wrong with this recipe."